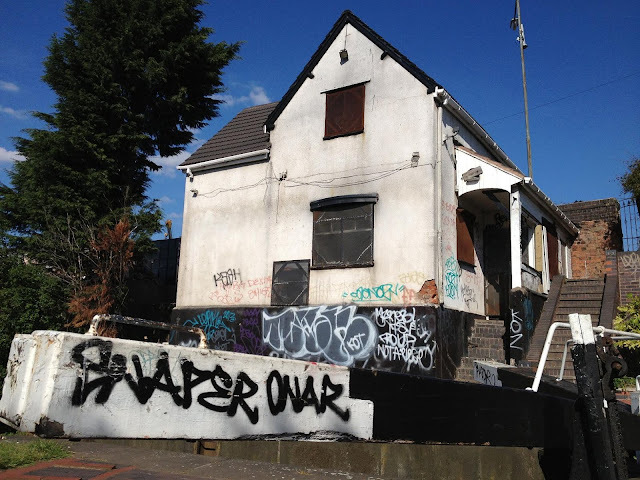 This derelict, boarded up white house sits alone on the side of the canal in Saltley / Alum Rock. Was it a house for someone who operated the canal lock doors, or the living quarters for some kind of canal / factory caretaker back in the day. I'm not sure. 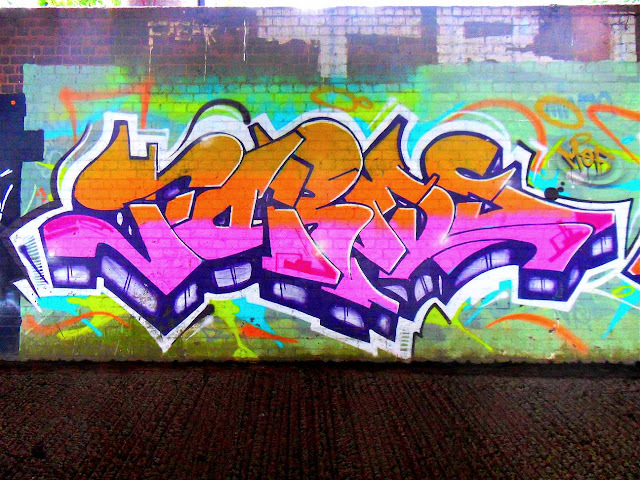 It's been on the receiving end of quite a lot of tagging, but that sort of adds to its character, at least for picture taking anyway. Whatever way you look at it, this is certainly a strange house to have just sitting on the side of the canal, surrounded by old factory's and a scrapyard. It looks as though it belongs in a South Central Los Angeles Ghetto, or on the set of the film Death Wish II (1982), not in Saltley / Alum Rock, Birmingham. Quite an eerie looking house from the angle the picture was taken. Did you spot the surveillance camera?